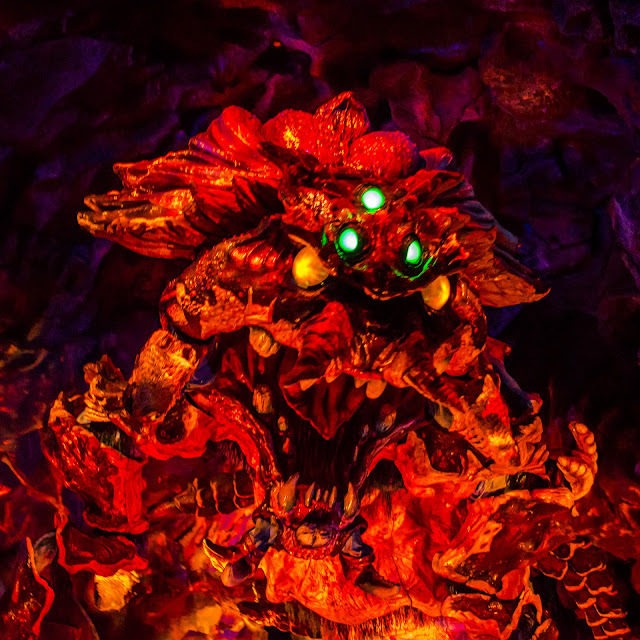 The Lava monster is the ferocious beast lurking in the fiery, volcanic depths at the heart of the Journey to the Center of the Earth attraction at Tokyo Disney Sea. Unlike certain monstrous audio animatronic showpieces in other major E-Ticket rides, this guy works regular, and he's quite an intimidating creature. Surrounded by the earth's magma, it is tinged in red and orange, and he lets out quite a roar when it see passengers cruising by in their little digging machines. Fortunately, a quick escape out of Mount Prometheus prevents further harm. Close call!